← PJC-2, What Are You? During our visit to Victoria, there was a fast catamaran ferry moored up in the harbor. It was named to the V2V Express. Based on the name, my assumption is that it provides a fast connection between the downtown harbors of Vancouver and Victoria. However, at no point while we were there did we see the thing move. I don’t know whether the service is seasonal, not yet implemented or has failed. The boat just sat there during our visit. If anyone knows the story, do let me know. 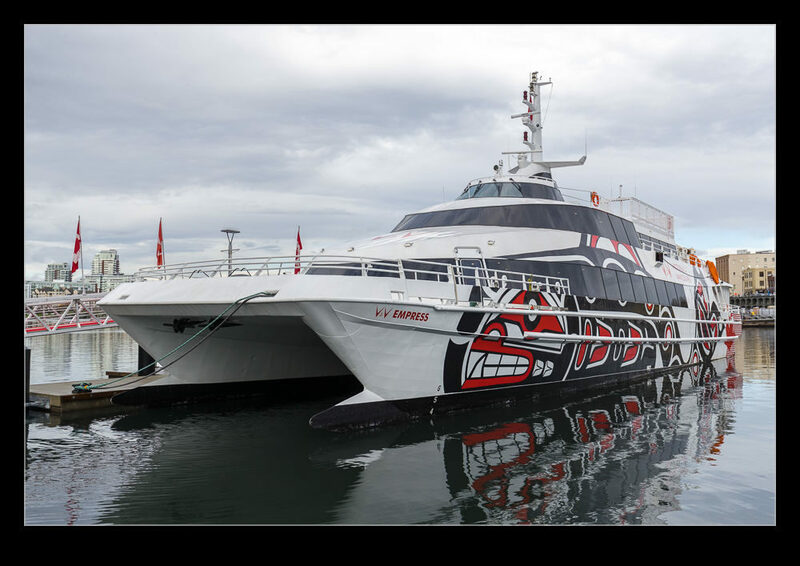 This entry was posted in Pacific Northwest, photo, Travel and tagged boat, British Columbia, Canada, catamaran, fast, ferry, photo, transportation, V2V Express, Victoria. Bookmark the permalink.